Everything you need to start, run and grow your credit repair business! Cloud-Based Credit Repair Software with all the tools needed to start, run and grow your Credit Repair Business! Automated dispute letters, client and affiliate portal, multi-user and fully customizable. Manage your entire credit repair business from anywhere. Cloud-Based Credit Repair Software with all the tools needed to start, run and grow your Credit Repair Business! Automated dispute letters, client and affiliate portal, multi-user and fully customizable. Manage your entire credit repair business from anywhere. TurboDispue is a Cloud-based business to business credit repair CRM software that you can access at any time from any device will make you more efficient. You’ll be able to serve clients faster and take on more business, all without sacrificing quality of service. Import Your Client’s Credit Report Items and Automate Dispute Letter Generation. easily import your client’s credit reports in seconds and the system will import contact information, address, credit scores, credit inquiries and itemize all the derogatory items, one-by-one, saving you hundreds of hours of data entry every month, minimizing human error. Create dispute letters in seconds using the “point and click” dispute letter creator which allows you to automatically customize dispute letters directly off of the credit reports. Our development team is adding features to our CRM every week, and we are committed to creating THE BEST CRM on the market today. When you sign up for the TurboDispute’s Business Credit Builder CRM, you are given access to a customized system that can be used to build business credit for existing business or startup. We consulted with the leading consultants and experts to create the best business credit building system available. TurboDispute Business Credit Builder offers a complete end-to-end solution for the credit repair industry. Complete the Business Credit Builder in simple steps with clear instructions and To-Do’s. You’ll have access to a database of vendors and lenders who can improve your client’s operations. By building strong business credit scores, your clients can secure vendor lines of credit without placing their personal credit at risk. You can use the step-by-step system to speed the process, which can take years without the guidance of TurboDisoute’s Business Credit Builder. With TurboDispute’s Credit Report Import feature you can easily import your clients’s credit reports in seconds and the system will import contact information, address, credit scores, credit inquiries and itemize all the derogatory items, one-by-one, saving you hundreds of hours of data entry every month, minimizing human error. 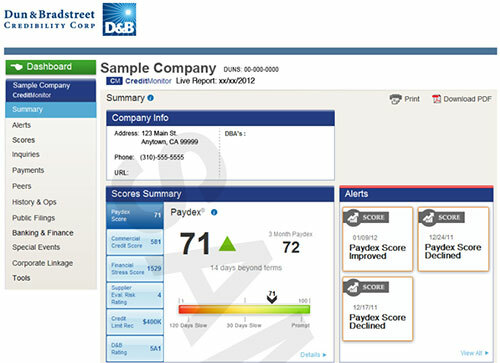 Works with Credit Pro, Privacy Guard, FreeScore360, Scoresense, and Identity Secure). If your customer has a user name and password with Credit Check Total, Privacy Guard, FreeScore360, Credit Updates or ScoreSense, you will be able to automatically extracts all creditors, negative accounts, collections, inquiries and more with just few clicks. Eliminate the need for data entry! Waiting for your clients to send you their credit bureau correspondence is thing of a past. With TurboDispute’s one click result synchronization you will be able in seconds synchronize from you clients updates online credit report and our software will mark the results as deleted repaired or verified in seconds! Turbodispute.com is an all-in-one web based credit repair software that allows multiple users across your entire company to universally view and manage their customers. With TurboDispute your company will be working together as a team while gaining the access and knowledge you desire of every customer and lead. At TurboDispute we believe you can never have too much of a good thing. Add your customers and leads in seconds with few clicks. Whether employees are working onsite or offsite, they will have full access to the contact list from any web-based browser across the world. This gives companies the opportunity to offer at home telecommuting careers to their employees. View and Easily Manage All Your Customers and Leads. With our “view” page, all facets of your company from owners and processors to service and sales representatives will have access to the records progress without having to alter between customer records. Our easy to use format offers advanced sorting and filtering, record grouping, reporting instantaneously. TurboDispute has made locating customer information quick and convenient by storing customer’s credit repair history all in one place. Manage attachments, credit reports, dispute letters (what’s been disputed, letter results, etc.) notes, and more in one central location. Users even receive a free credit report system where every created letter is stored under the correct customer record so that you will never be searching for dispute letters again. Track your tasks and to-do’s automatically with the built-in calendar system. The program works just like Microsoft Outlook so the familiarity of it is and effortless for most users. Meetings and appointments are as easy as drag-and-drop. With our easy to use task system, users can manage and assign tasks and activities for themselves and other team members. Calling a client to creating a follow-up letter is just a click away. How would you like a welcome email to automatically go out to a client when you add them into TurboDispute.com? Auto-responders automatically schedule and send email messages to your customers, leads, affiliates, and more. Boost your company business image with professional invoices. Accounting and invoicing is fast and easy with TurboDispute. It keeps you informed about your business with many custom reports. Invoices can be printed out, exported or emailed as Adobe Acrobat PDF. Under each contact you can upload credit reports, contracts, dispute letters, and more. Allows the entire company to have a central view of customers and leads. View and track customer’s activity including who has done what in the account. Post interactive notes and have better collaboration across all your users. No matter what time of day or what time zone, customers can log in and have real-time access to their agreements, attachments, credit repair status, dispute history, notes and more. When a user’s clients and affiliates visit the site, they will be impressed with the esthetic appeal and state of the art technology that has been invested into TurboDispute. Our branding will not appear on the site, allowing users to take full credit for their website. Don’t get antagonizing phone calls from your clients ever again! With our customer portal, users and their clients can save valuable time without any hassle. Your customers can view their status in the portal using multiple, easy to understand formats. With our summary page customers can interact with graphs and charts to better illustrate their information. Viewing credit reports and dispute statuses has never been easier. Users can customize their portal with their own logo, information, and color scheme to match their website for no extra cost. TurboDispute does not place branding on the portal, so that your customers will be unaware that you are using our software. We know how time consuming it is to have your agreements be signed and mailed. Signing agreements and disclosures has never been easier. With electronic signature tool your clients login into their portal and sign your agreements, CROA disclosures, power of attorneys and other necessary disclosures which you activate from your Agreements section of the TurboDispute software. Customers have a high reputation of changing their minds and not following through. The TurboDispute portal is not only highly engaging but it’s easy to use interface engages customers so that they get the answers they are looking for regarding their credit restoration and are less likely to drop the ball. A happy customer that is successful in their efforts equals referrals for you! With the TurboDispute interactive messaging feature, you can communicate back and forth with your customers and all correspondence is stored and centralized so that everyone in the company can send and relay notes. Each party is conveniently notified by email when they have received a new note in their inbox. For every customer that logs in, the company or person that referred them will be advertised across the first page of the customer portal. The referral’s photo or logo, and complete contact information including email and website links will appear on the front page at every log in. TurboDispute allows for an unlimited amount of uploaded referrals. This powerful marketing tool reminds customers of the person who encouraged them to get their credit repaired. Your customers will appreciate the convenience and confidentiality of sending and receiving documents through the portal. With no more mailing or faxing, customers can upload their credit report, dispute updates, and other documents right into the portal. Users can even upload attachments directly to each individual customer profile and send copies of the attachment to their customers, which is perfect for brochures, contracts, CROA disclosures, referral coupons, and more. Clients login, sign agreements, choose items to dispute and monitor status every step of the way, saving you many unnecessary calls. Be reassured that your information is safe at all times. The portal is activated with firewall protection, detection systems, hacker monitoring, and SSL encryption so you can sleep easier knowing you are secure. Customers can access the portal anywhere, anytime. With our web-based program there are no installations! Get timely alerts through TurboDispute when a customer uploads a new attachment or corresponds with a note. Every customer will be prompted with a 10 minute instructive video, teaching them how to use the portal. Customers can access information and articles educating them on credit. Every successful credit repair business must have a team of reliable affiliates at their core. This can range from attorneys, brokers, car dealers, cellular stores, financial planners, realtors and more. TurboDispute allows you to track all your affiliates in one place with ease. In our Affiliate Management System, users can manage and track an unlimited amount of affiliates and referral partners. This page allows users to watch over their affiliates in one place, including all of the customers that affiliate has referred. Users can create a custom profile complete with a photo or logo for all affiliates that will display at the top of each customer’s portal. Everytime the customer logs in they will be reminded of who referred them to your services. This powerful marketing tool sets TurboDispute above the rest. Now referral partners will be more confident to send over new clients. On each affiliate page, users can view a list of all the customers and leads that affiliate has referred. From there, all you need to do is click on the customer’s name to be directly forwarded to their record. We are invisible in your portal. Your affiliates will think you had it custom built just for you. With the TurboDispute affiliate portal page, affiliates can send new customers and existing customer statuses with ease. Interactive messaging feature, you can communicate back and forth with your affiliates and all correspondence is stored and centralized so that everyone in the company can send and relay notes. Feel safe and secure with our permissions system, which allows you to have full control over who accesses what information. Exchange information and customer data with the same security encryption as a bank. Never send credit reports and sensitive data by email! Users can keep their affiliates and referral partners satisfied by allowing them full login access to check statuses, receive and send notes, upload or download notes, and send new clients. The affiliate portal gives your company a professional organized face and pays for itself by motivating your affiliates and increasing referrals. 24 hours a day, user’s affiliates have access to track and manage their own clients. With the search option, viewing processing leads, sending new clients, exporting existing referrals and monitoring referral statuses has never been more convenient. This productive tool has the technology to save users time and provide a profitable marketing tool for their affiliates. Users can customize the portal with their own logo, information, and color scheme to match their website for no extra cost. TurboDispute does not place branding on the portal, so that your customers will be unaware that you are using our software. Never let a lead slip through the cracks again! Affiliates can now send leads straight through the portal safely and securely by filling out a few basic details about their client, including the option to add notes and attachments. Once the lead has been submitted, the information will be sent to the user’s inbox like a new email so that they can keep track of all new leads tied to each affiliate. Communication is the key to success! Customers, affiliates, and the user’s entire staff can correspond via the TurboDispute notes system which allows you to send receive, and track all notes coming in or going out. All notes are confidential and sent safely and securely to a centralized location so anyone from the company can connect and respond. This powerful marketing tool reminds customers of the person who encouraged them to get their credit restored. For certain affiliates like mortgage companies or car dealerships that have a copy of the customer’s credit report, TurboDispute has made sharing and uploading files quick and easy. No more mailing or faxing! Affiliates now have the power to select their customer and upload the report all while keeping the files privately between the user and the affiliate. Affiliates are the lifeline to your success as a credit business. We encourage users to take advantage of the affiliate program. Customers can access the portal anywhere, anytime. With our web-based program there are no installations or downloads, just internet access! Get timely alerts through TurboDispute when a customer uploads a new attachment or corresponds to a note. 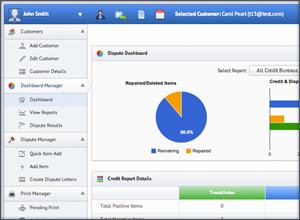 Manage your customer’s credit report with color coded and easy to read credit report system. It is fast, fun, easy to create dispte letters directly from the imported credit reports, manage negative items. 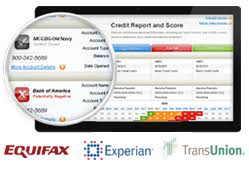 The credit Report page always reflect the latest data from manully entered or imported credit reports. With our robust software users across the company can share and access information to make faster, more informed decisions. No more messy paperwork and constant updates! With the TurboDispute credit report system, users can store their customer’s negative credit history as reported from all three credit bureaus. By assembling your customer’s credit reports in one space, you will be able to produce dispute letters directly from the credit report. Inputting credit report information is fast and efficient with the credit report system. All editions of TurboDispute are incorporated with this system, allowing you to categorize the credit reports by type, such as collections, derogatory accounts, personal accounts incorrect names, social security numbers, addresses, public records and inquiries. Never hassle with the inconvenience of creating customer dispute letters ever again! With the TurboDispute “point and click” dispute letter creator, all users have to do is select the items directly off of the credit report and it will automatically be updated into the template selected. The “point and click” option saves time and leaves no space for error. Staying on top of your dispute letters and progress is an important part of your success. You can view the status of your progress, mark items as deleted, repaired, verified and review what remains on your credit. Also, you can create follow up dispute letters in seconds for verified items without having to enter the item again. In addition, The Enter Results page shows when results are due back, when letters were printed and mailed out, and more. This can help you follow up on overdue disputes and create follow-up letters in seconds with any remaining items that have not been marked as repaired or deleted. Get alerts and notifications on past due letters. Feel confident knowing that all of the customer’s information is stored safely and securely with our 128-bit financial-grade encryption. All credit reports are centralized so there is no more messy paperwork. Users can monitor each customer’s credit repair progress including dispute success and repair/deletion ratios. Generate Dispute Letters Fast and Easy! Create dispute letters in seconds using the “point and click” dispute letter creator which allows you to automatically customize dispute letters directly off of the credit reports. Manual dispute letters are a thing of the past! With TurboDispute, dispute letters are generated in seconds, eliminating the most time consuming aspect in credit repair businesses. With the TurboDispute Dispute Letter Wizard, all you have to do is select the item(s) and follow 3 step wizard and your item will be automatically updated into the dispute letter template you have selected. The Dispute Letter Wizard feature saves time and leaves no space for error. Personalize Each Letter for Optimal Results! Unlike other dispute letter generators, the TurboDispute software works quickly and is able to be fully customized and tailored before saving and printing. Adjust your own fonts, text, color, report details and more, and then save the template under each customer’s record. Other companies make you hassle with inputting one trade line in at a time. With TurboDispute you can pick and choose multiple items you want to dispute directly from the customer’s credit report. More than likely, the three credit bureaus will request proof of identity once a letter is sent in, including a driver’s license, social security card, and a utility bill. TurboDispute lets you print the customer’s identification automatically with each dispute letter, eliminating that wait time. Create Follow-up Dispute Letters With Few Clicks! TurboDispute automatically creates follow-up letters for any remaining items that have not been repaired or deleted, and will only show those that have been verified once a user enters in the dispute results. Never worry about printing hundreds of letters ever again. With our All Pending To Print printing option, you can group multiple dispute letters into a single PDF form and print it from any computer. This not only saves time, but is convenient for offsite printing. TurboDispute allows users to generate up to 40 customized dispute letters in just one hour. That’s over 500% faster than other systems! Follow Up Letters For Verified Items! Save time by automatically creating follow-up dispute letters for verified items, without the hassle of sorting through those marked repaired or deleted. Create dispute letters to creditors, collection agencies, and data furnishers in a single step. No more filing bulky paperwork! TurboDispute allows users to store all letters under the specified customer record. With TurboDispute, users can keep a bird’s eye view on their customer’s dispute letters using the essential functions and tools provided to manage and track each customer’s progress. After customer updates are entered in the credit report, users have the option to mark the account as verified, deleted, or corrected. In the customer portal, users can view the original status compared to the results status, as well as whether or not the credit report has been deleted, repaired, or verified. Easily track each customer’s dispute letter progress in three simple steps! First, the created letter is stored under the All Pending To Print option until printed. Second, the letters are then transferred to the Enter Results section until further results are inputted. Finally, once the results have been executed, and the letters reach the completed disputes section and archived there. TurboDispute stores all letters in a central database, which allows users to access and print at any given time. With the multi-user online application, users can print from any computer or printing center. Once printed, the letters display the date they were printed as well as who the dispute went to. Easily Create Follow Up Letters! Check when results are due, when follow-up disputes should be administered, when letters were mailed, and more. Preview and print all your customers pending to print letters with one click in just seconds! The customer status portal will instantaneously update all dispute results entered. The credit report automatically adjusts so that users know when a item has been deleted, repaired, or is still negative. Accept payments directly from TurboDispute system for the invoices you generate for your clients. Currently the software features invoicing system, so soon you will bebe able to process credit card payments and collect payments through the portal. With the ad-hoc reporting feature, users can create and run reports on anything they want, including 3D charts, dashboards, and spreadsheets. Create enticing and appealing reports with ease. The purpose of the web Lead Form is to give you ability to collect leads from your web site(s) into turbo dispute system for your sales team to follow up. Paste this web form code below into the html of your website where you would like the web form to appear. The signups will appear in your Leads page as a “New Lead”. Then you or your staff can follow up and convert the lead into a customer if the lead chooses to become a customer. Turbo Dispute’s web-to-lead forms allow users to create and embed forms right to their website or blog, allowing them to keep web traffic and gain customers. We’ll provide you the codes and the leads will go straight into the TurboDispute system. Use the built-in database of Credit Dispute letter templates- it is easy to use! Just click Activate and the letter will appears in the credit dispute wizard. I addition, you can add unlimited letters of your own and customize them so they are 100% unique. With TurboDispute, you have the option to create your own letters using our sophisticated typography tools or choose from hundreds of templates in our library. With our built-in letter editor there are no more time consuming downloads or installations. Just like Microsoft Word, you can customize colors, fonts, paragraph styling, tables and more. You have the option to save the template for future use. Users have full access to our library of proven dispute letters including accounts in dispute, bankruptcies, charge-offs, civil claims, collections, foreclosures, judgments, late payments, liens, repossessions, settlements accepted, and more. Add Your Own or Customize Existing Dispute Letters! TurboDispute saves and stores all your letters in one localized area. View and activate your favorite dispute letter(s) with few click. Just click Activate and the letter will appears in the credit dispute wizard.for feature use. You can also feel confident knowing that all their letters are reserved in an online storage so you never have to fear hard drive failure or corruption. Make fewer errors with our full-featured multilingual spell checker. You can easily edit existing letters and even reset to original in case you have made a mistake. The TurboDispute editor allows you to easily copy and paste content from Microsoft word, including old dispute letters. Since everything is stored online, you never have to fear losing your saved templates due to a hard drive crash. TurboDispute knows that every company is unique in their own way, and that is why we created a system that reflects that. Individualize your own account statuses, account types, dispute statuses, letters, user privileges and more. You can customize drop downs and other software variables on credit report statuses, customer statuses, dispute instructions and more. In seconds you can add a value into the Software Data and place it into a new or existing drop down menu based on your company needs. On the Admin page, users can copy and paste their credit repair contracts, CROAS disclosures, power of attorneys, and other disclosures with ease, and have them signed electronically right from the customer portal. Keep confidential files protected by managing the roles of each member of your company. TurboDispute allows you to limit the permissions of your staff according to the tools and sections required to perform their job. We are proud to be the only credit repair software company that allows this type of role-based security. Here you can upload and manage educational topics and text content for your customers. This content will appear under “Education” tab in the credit Repair Portal. View all uploaded attachments from the customer portal. Add your user’s photos pictures, for customers to be seen in the portal who is working on their case. View and track users’s activity including who has done what in the account. You can have additional users within the company from sales reps to processors to data entry technicians. What’s the difference between downloadable software and online software? Just how far have we come from using inserted CD-ROMs and disks to downloaded credit repair software? Why cloud-based software it better? Cloud-based software is more affordable. For a small office, downloadable software can cost up to $15,000 in software licenses, computers, maintenance, upgrades, remote access, servers, and technical support. As your company grows, so does your costs. TurboDispute’s online software allows users to simply open a browser and begin! Never worry about the cost of growing your company because all you have to do is add more users. No installations or upgrades. TurboDispute provides you with the latest applications at a fraction of the cost of downloadable software. Imagine what you could do with the savings. All you need is internet with a web browser. TurboDispute works on any platform with a web browser and internet connection. Mac, Windows, Linux, iphone, android, ipad and more are all supported. Security of your files is a rational concern, especially when the web is involved. Downloadable software opponents argue that online software such as TurboDispute’s is less secure, but studies show that those accusations are false. Hackers have an easier time breaking into local office computers our online software. TurboDispute takes all precautions to secure your data by utilizing a financial-grade infrastructure which is the same as logging into your bank accounts online. Secure Socket Layer (SSL) technology provides high end security using a server authentication and data encryption. Users can rest assured knowing that their information can only by accessed by registered users and no one else. Even with all of our safety precautions, TurboDispute offers the flexibility and option to backup files at any given time, and guarantees that all data is completely owned by each individual credit repair company. Imagine if you used downloadable software and your hard drive crashed. With your hard drive goes your data, and research shows that over 100,000 crashes occur every week. Because TurboDispute is web-based, your data is backed up and cloned over a second server so losing your information is never and option. When computers go down, all users need to do is get to any internet access and get back to work. TurboDispute can also store and maintain extreme amounts of data, including millions of records, which is something local office hard drives simply can’t do. All major software companies are moving their software to the cloud. It’s a better, more efficient way to work. TurboDispute is on the fastest cloud servers. Service is consistent and super fast. Never pay for software updates again! With downloadable versions, you expect to pay for upgrades every 6-18 months. Because TurboDispute is an online software, updates are installed automatically every 30-45 days without interruption or cost to you. Our FREE upgrades guarantee that you will always be working on an updated system available 24 hours a day. Work does not have to be restricted to the office. Work from home or the local coffee shop with the TurboDispute web-based credit repair software! The only thing users need to be successful in their business is internet access. Your security is important to us. Independent audits confirm that TurboDispute’s data security reaches an advancement that other companies have not been able to accomplish. Using the latest hacker monitoring, firewall protection, intrusion detection systems, SSL encryption, and third-party security products, our customers rest assured knowing that they are protected 24/7. Keep confidential files protected by managing the roles of each member of the company. TurboDispute allows you to limit the permissions of your staff according to the tools and sections required to perform their job. Create an unlimited amount of role types and assign limited access as needed. Company data can only be accessed by authorized employees and staff members and is completely separate from other companies. 256-bit encryption and hash formatting makes it impossible for unauthorized users to enter the system. TurboDispute server are backed up hourly to multiple offline servers. If a particular location undergoes a data loss, the files are immediately recovered and restored from the alternate server. All of TurboDispute’s servers are located behind high-availability firewall and signature-less and signature-based intrusion prevention systems. Users can remain confident that their accounts are safe by scanning all network layers for harmful spyware, spam, blended threats, Trojans, viruses, web-based exploits, and worms. The TurboDispute server network is biometrically protected in Ultra High Security storage environments with armed security that protects the building’s perimeter both night and day. Each building is fire and storm resistant and tested to withstand the elements. The TurboDispute facilities are unmarked and private to the public. Even authorized staff must pass through biometric scanning to enter the system cages, so users can sleep easy knowing that their information will never leave the facility. We keep you updated with the latest technology! Our updates release every 40-60 days, offering you new functions and features continuously. Have an idea or request to better the system? Let us know! We advertise online and generate leads. prospects signup and you receive daily leads in your TurboDispute system. Then you or your sales team can follow up with email marketing, send professional emails quickly and easily! The most time consuming time in credit repair is to have your clients forward you the correspondence they get after you have initiated a dispute. With automatic result synchronization you will be able to enter results from an online credit report eliminating the need to wait for the mail your client send you. Turbo Dispute’s web-to-lead forms allow users to create and embed forms right to their website or blog, allowing them to keep web traffic and gain customers. We provide the codes and the leads will go straight into the TurboDispute system. We will be offering credit repair training courses, designed to fit your busy schedule and budget. Best suited for mortgage, real estate, auto, finance professionals, attorneys, CPA’s, entrepreneurs and credit repair professionals furthering their education.